Viknesh Vijayenthiran August 31, 2018 Comment Now! 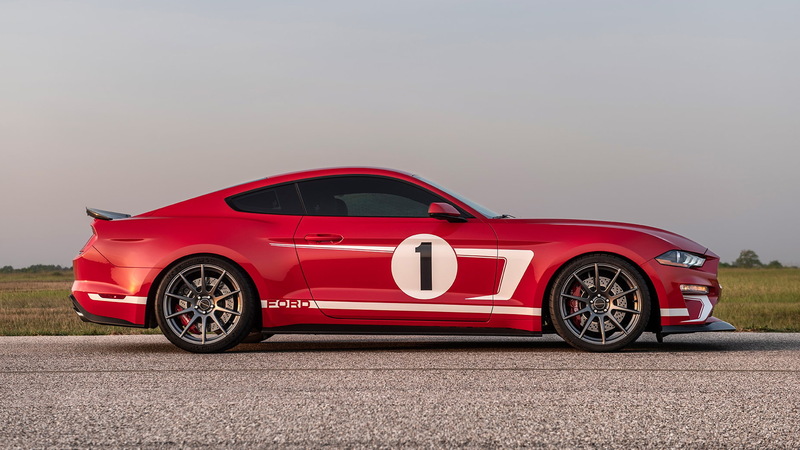 Hennessey Performance Engineering in August unveiled the 2019 Heritage Edition Ford Mustang to celebrate hitting the 10,000-build milestone. 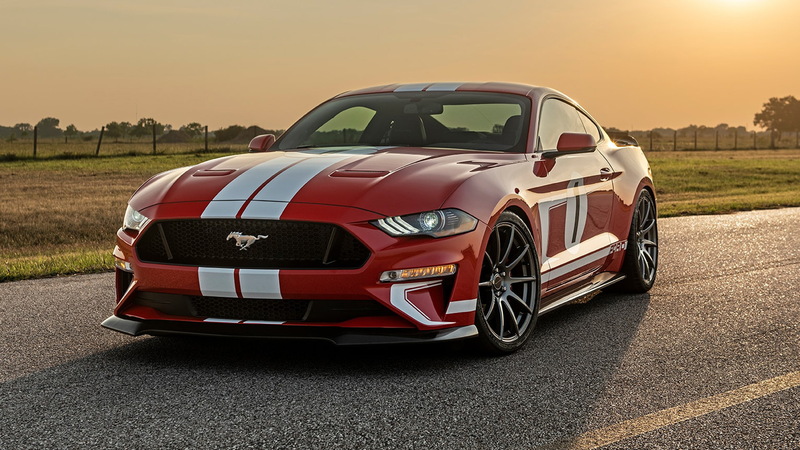 The fiery red car, which features a design inspired by the livery of a 2018 Ford GT Heritage Edition supercar owned by Hennessey boss John Hennessey, is based on a Mustang GT and features the tuner's HPE800 performance upgrade. 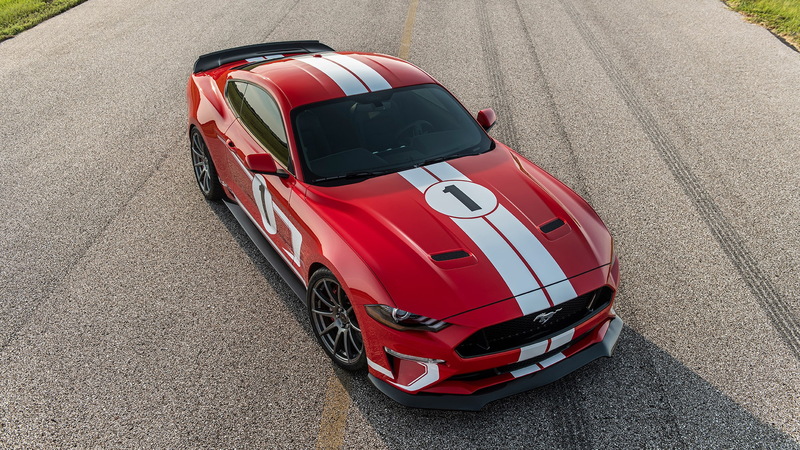 The upgrade delivers a claimed 808 horsepower and 677 pound-feet of torque at the flywheel, and now you can see what that equates to on the dyno. 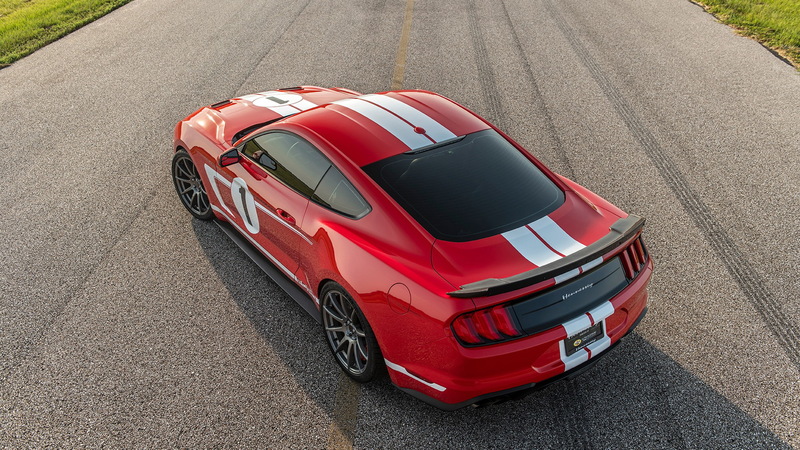 The peak numbers came in at 673 horsepower and 526 pound-feet. That's a bit lower than what the claimed figures suggest, since you'd be looking at a drivetrain loss of 20 percent to hit the 808-hp flywheel figure. Still, the numbers being generated are nothing to sneeze at and the linear nature of the power delivery shown on the dyno chart toward the end of the video is impressive. 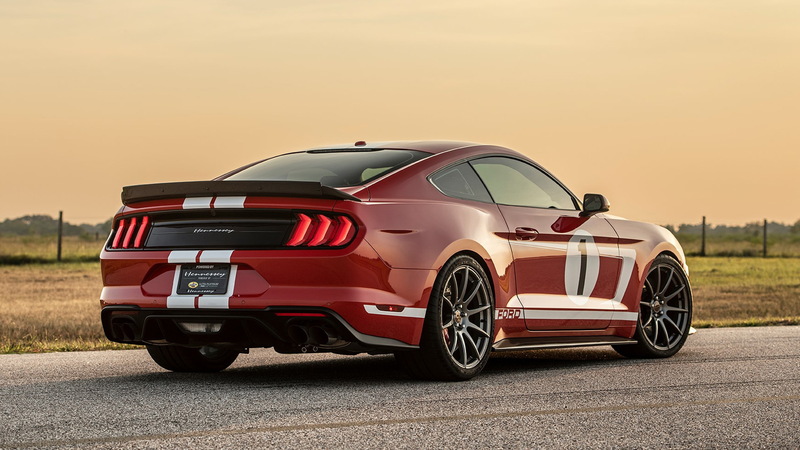 If you're interested, we'll remind you that Hennessey plans to build just 19 examples of the Heritage Edition Mustang, each priced from $89,950. All of the parts that went in to the car, such as the 3.0-liter supercharger, 20-inch forged wheels, and carbon fiber aero elements, are available separately, though.